Favorite company outing: Working at the Houston Food Bank. Knowing we helped families in need to beat hunger was an awesome feeling. Alma is originally from Yuma, a beautiful city nestled in the southwest corner of Arizona, bordering California and Mexico. 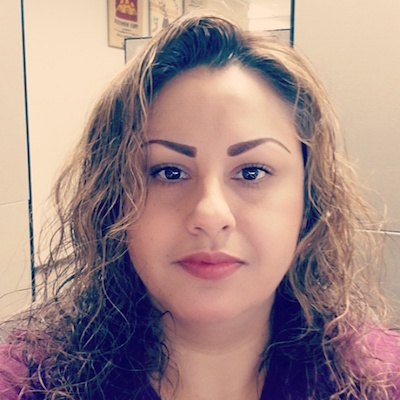 She joined the InterAmerican Coffee Houston team in December 2015 as an outbound logistics coordinator. Prior to InterAmerican, she worked for a school district for 16 years. Alma loves spending time with her family, camping, going to the movies and especially getting away off-roading. Adrenaline-filled adventures are her favorite! Best coffee memory: As a child, making my father his morning cup of coffee while he fed his chickens. Great memories.